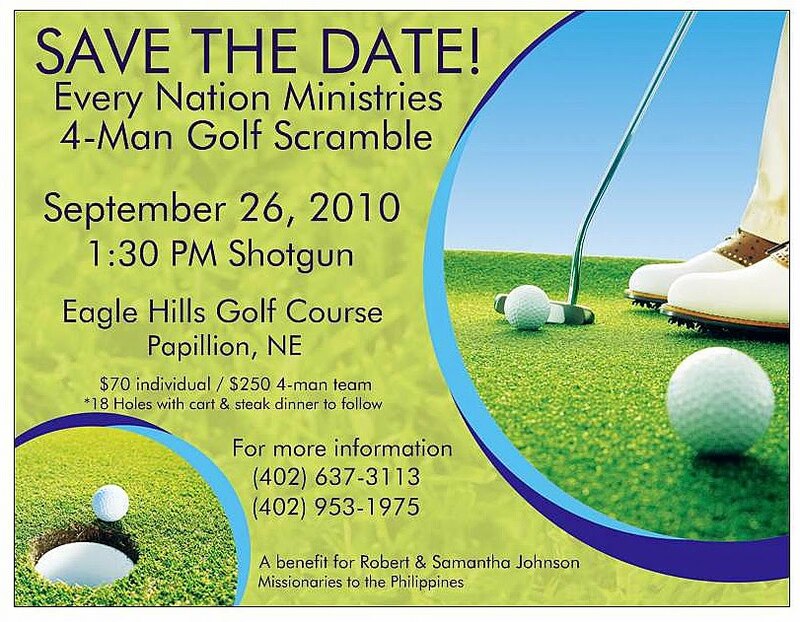 Are you living in Omaha or nearby cities and love to play golf? I would like you to invite you to mark your calendars and save September 26th! Robert and I are spending the next 4-5 months raising funds for our 2-year missions work in the Philippines. 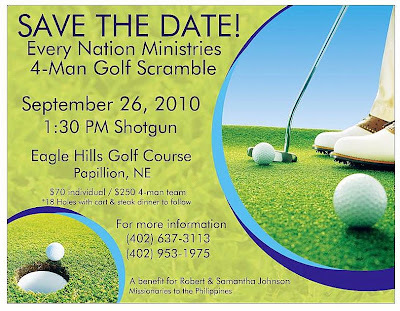 We hope to raise enough money to cover expenses of the entire 2011 and 2012. Pray for a great weather and a good turnout of supporters. Volunteer to help us prepare and run the event. Be part of the tournament! Net proceeds will go directly to the missions partnership fund. Connect us to possible sponsors. Donate gifts or services that will used as prizes. If you would like to confirm your attendance, you can RSVP at our Facebook Event Page. If you have any questions, feel send us an e-mail to robert [dot] samantha [at] gmail [dot] com. Thank you so much for your love and support! Hope to see you there!